Thirty percent of ad agency professionals said they've advised clients to stay out of politics. Brands that have been taking a political stance in their advertising might want to rethink that strategy. A study examining "Brands, Agencies and Political Values" for the American Association of Advertising Agencies found that 58 percent of consumers surveyed said they dislike it when marketers talk politics. Since President Donald Trump’s inauguration, brands from Coca-Cola to 84 Lumber have addressed politically-charged themes in their advertising. 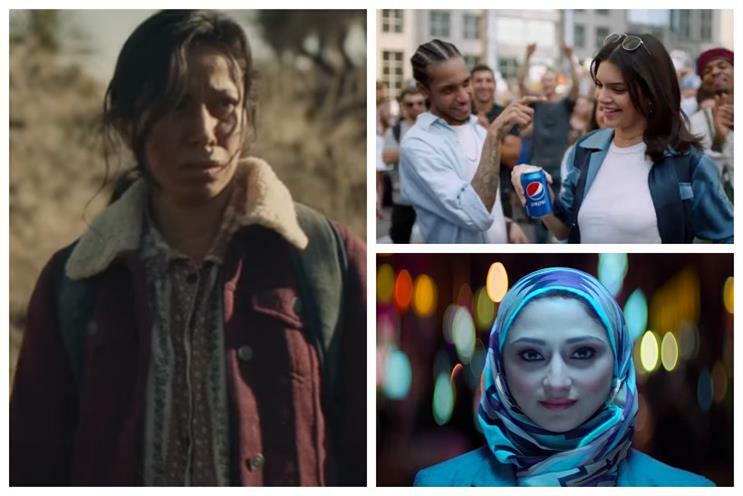 But as evidenced by the backlash against Pepsi’s infamous Kendall Jenner spot, consumers don’t always appreciate companies joining the political conversation. In fact, 30 percent of ad agency professionals have advised their clients against it, according to a complementary study from the 4A’s. "Consumers are not looking to brands to take a position on political or social issues," said Alison Fahey, chief marketing officer of the 4A’s, in a press release. "There’s typically more risk than benefit." Sixty seven percent of agency professionals said they believe that shifting American values are leading brands to take a heightened interest in corporate responsibility and values-based marketing. Fifty seven percent of the 329 members surveyed said they consider understanding consumer demographics and values the top imperative for marketers right now. And 34 percent said they’ve counseled or required clients to provide diverse perspectives in creative or planning. The consumer study had similar findings. Fifty one percent of participants said the president’s policies have encouraged more brands to speak up, compared to 40 percent who said he’s had no impact. Still, one in three consumers think that Trump’s agenda has made companies less accountable when it comes to corporate social responsibility. Regardless of motive, 44 percent of millennials surveyed said "I don’t like it; companies should stay out of politics," compared to 37 percent of their peers who said they appreciate brands taking a stance when it’s authentic. And 25 percent of agency respondents said they’ve counseled their clients to align with sociopolitical issues that are authentic to the brand. As people age, the study discovered, they dislike marketers mixing their messaging with politics even more, with 76 percent of those surveyed aged 65 and older reporting they disagreed with brands taking a political approach. The study also revealed that Republicans are most opposed to brands taking a political stance, 77 percent, compared to 43 percent of Democrats and 58 percent of Independents. And those who’ve had some college think that companies should stay out of politics (63 percent) the most, followed by those with a high school or less education (59 percent) and respondents who have a college degree (51 percent). However, the report demonstrated that if brands do decide to wade into political waters, they should focus on the positive, as those surveyed said they were more likely to avoid brands perceived to be racist, anti-LGBTQ or sexist than those that take a positive position on a political issue. Nearly three-quarters of consumers said it was "not at all likely" that they’d buy a racist-affiliated product, compared to just 14 percent who said they’d eschew goods that are inclusive of all people. The same goes for LGBTQ: 50 percent of respondents said they’d skip purchasing anti-LGBTQ products compared to just 20 percent who avoid pro-LGBTQ offerings. And the trend continues down to sexist (60 percent) versus feminist (25 percent), anti-Planned Parenthood (47 percent) versus pro-life (20 percent), anti-business (40 percent) versus pro-business (10 percent) and anti-immigrant (44 percent) versus pro-immigrant (11 percent). Echoing the consumer study, 33 percent of 4A’s members surveyed said that they believe brands are more afraid to take a political stance than a social one. Likewise, 26 percent of agency professionals think their clients are more compelled to take a social stance rather than discuss politics. "Brands taking a negative approach risk backlash, and only a small percentage of consumers are moved to buy from positive messaging," Fahey said. The study also showed that despite President Trump’s frequent brand references on Twitter, his statements on social media have little impact on purchase intent. The majority of those surveyed said his tweets do not affect their buying decisions whether he endorsed (72 percent) or complained (74 percent) about a brand. Research firm SSRS developed the consumer study, which surveyed 1,056 U.S. adults through an email questionnaire from March 29 to April 7, 2017. The accompanying agency research was developed between April and May 2017.